Foothills Art Center is located in Golden, CO. Foothills Art Center was created for, and is devoted to, the mission of Leading and inspiring the community through art, education and cultural excellence. 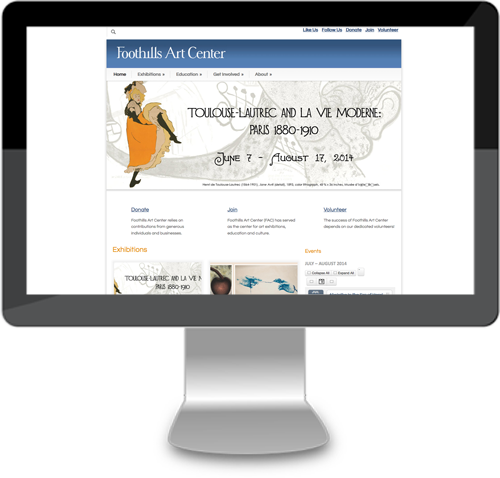 For Foothills Art Center, we created a basic WordPress website. They have recently hired an in house web person to re-design and maintain their website.